At first glance, Manhattan, Kansas, might not seem like an obvious place for an East Coast company to allocate recruiting resources. But a strong first impression at the 2014 National Collegiate Sales Competition convinced Boston-based Dell EMC to take a closer look at potential employees from the heartland. What started with one hire in 2015 has quickly blossomed into a recruiting pipeline from Manhattan to Dell EMC, which provides organizations with industry-leading converged infrastructure, servers, storage and cybersecurity technologies. In the past 16 months, Dell EMC has hired four additional Kansas State University graduates from the National Strategic Selling Institute in the College of Business Administration. Even though the National Strategic Selling Institute was established just seven years ago, it has built a reputation for producing some of the most career-ready graduates in the country. For the past six years, the Sales Education Foundation has recognized it as one of the nation’s top sales programs. According to Dawn Deeter, director of the National Strategic Sales Institute, the program features a curriculum focused on the application of selling skills through role-playing and real sales experience. That experiential learning environment puts students in the same scenarios they will encounter in any entry-level sales management position. Anastasia Vandermark, another 2016 graduate, has gone on to a sales role with Dell EMC and credits the program for giving her a leg up on the competition. 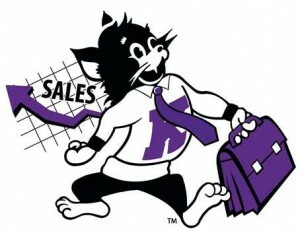 That personal touch is something that sets K-State sales students apart from some of their counterparts from other universities around the country. A new partnership agreement between Dell EMC and the NSSI ensures that the pipeline of talent will continue to flow for years to come with an increased presence on campus at sales competitions and career fairs. Kansas State is now one of only a few schools outside the company’s region from which Dell EMC actively recruits.